Birthday of the Father of the Nation Bangabandhu Sheikh Mujibur Rahman and National Childrens Day 2019. 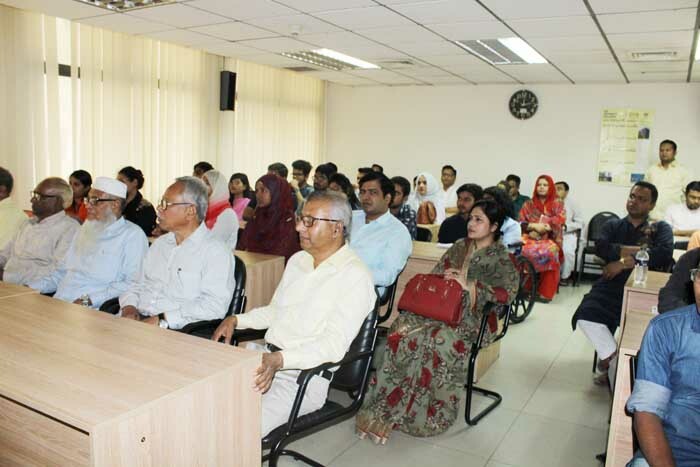 ASA University Bangladesh (ASAUB) organized a discussion program on the occasion of the 100th Birthday of the Father of the Nation Bangabandhu Sheikh Mujibur Rahman and National Childrens Day 2019. Professor Dr. Dalem Ch. 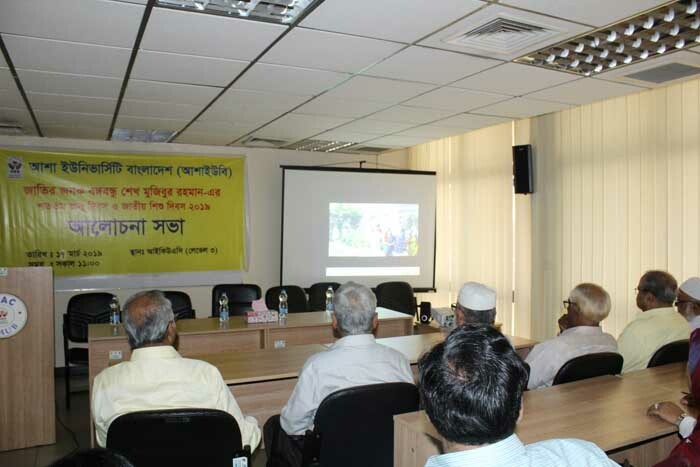 Barman, Honorable Vice Chancellor of ASA University Bangladesh (ASAUB) presided over the program. 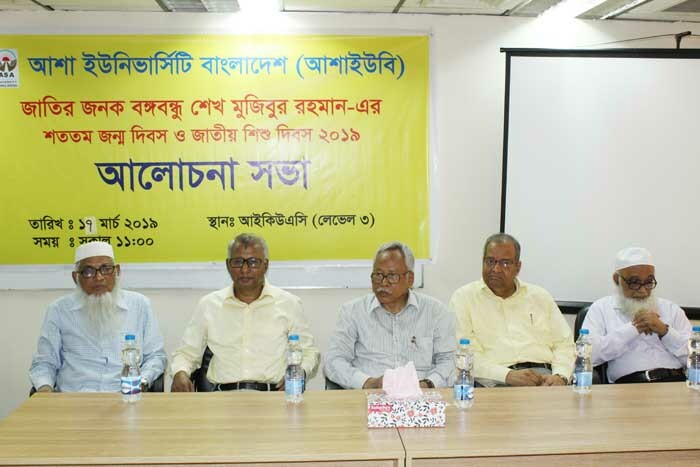 Treasurer, Deans of different Faculties and Chairmen of different Departments, faculty members, officials and students of different programs participated. They took a vow to materialize the cherished dream of the Father of the Nation Bangabandhu Sheikh Mujibur Rahman to build the nation as -Sonar Bangla-.